News | All-new LEAGUE adventure in 2014, as NEMO heads to darkest Berlin! 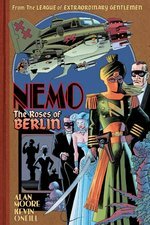 When Alan Moore & Kevin O'Neill followed up their League of Extraordinary Gentlemen: Century trilogy with 2013's spinoff Nemo: Heart of Ice, critics hailed it as a return to form, "a throwback to the high adventure of the initial series," and a "late-career masterpiece, with a chiseled veneer of cracked adventure on the surface and a bubbling enthusiasm for the magic of storytelling welling up inside." 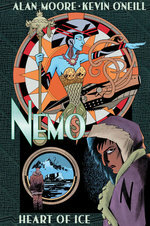 Now saddle up your submarines and study up on your silent films, because the new NEMO is now available for pre-order! Moore & O'Neill rampage through twentieth-century culture in a blazing new adventure, set in a city of totalitarian shadows and mechanical nightmares. Cultures clash and lives are lost in the explosive collision of four unforgettable women, lost in the black and bloody alleyways where thrive THE ROSES OF BERLIN. You can pre-order it from this month's Diamond Previews catalog, for release in March. For more details and 5 preview images, click here! 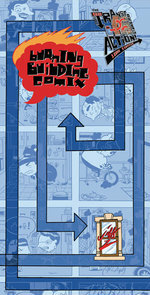 BURNING BUILDING COMIX by Jeff Zwirek - HOT second printing of this innovative Ignatz-nominated gem. 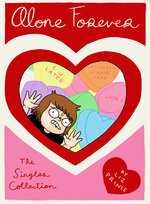 ALONE FOREVER by Liz Prince - The author of the world's most lovable couples comic sets her sights on the single life. 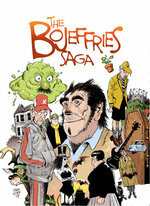 THE BOJEFFRIES SAGA by Alan Moore & Steve Parkhouse - This nutty British comedy gives "nuclear family" a whole new meaning, now complete in a single volume with an all-new story!